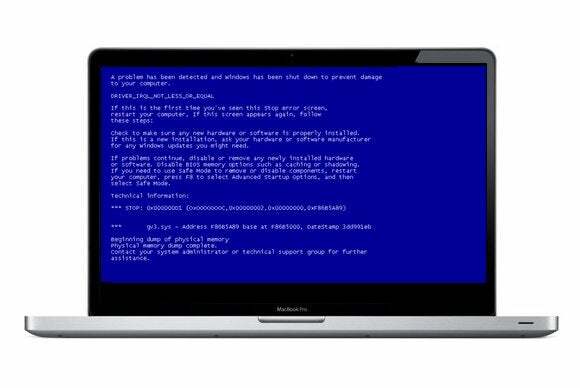 When Julian called late last week, his MacBook Pro wouldn’t turn on; it would get stuck on the Gray Screen of Stomach Pain Inducement and never move forward. Over chat, phone, and then in person when he made the trek from Brooklyn to my New Jersey home, I walked JV through my steps for resuscitating a Mac that won’t start up. Let me share them with you too, since you may not have my number. If your Mac won’t boot, there could be many issues at play. But the one I like to rule out right away—or repair, if possible—is any problem afflicting the hard drive. The easiest first step on that front is to run Disk Utility. 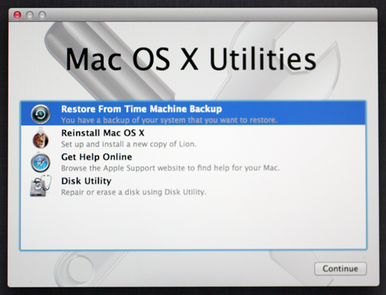 On a Mac running Mountain Lion, you can run Disk Utility by booting into OS X Recovery Mode. Make sure the Mac is off. (If it’s not responsive because it’s stuck on a gray, blue, or white screen, just hold down the Mac’s power button for several long seconds until it gives up and shuts off.) Hold down the Command and R keys, and power the Mac back up again. 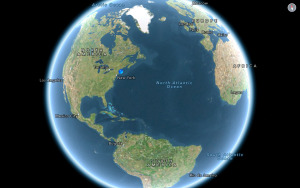 Eventually, you’ll end up on a screen headlined OS X Utilities. (Once you see that screen, you can release the keys you were holding down.) Click on Disk Utility. Then, click on your Mac’s built-in hard drive in the left column of Disk Utility. (Usually, you’ll see two listings for your built-in drive: The first includes the drive’s size, like 500GB, in its name; and nested underneath it is your drive’s friendlier name. You want that second one.) On the lower right of the Disk Utility window, click Verify Disk, and then wait while Disk Utility does its thing. In Julian’s case, Disk Utility said that it had found errors and we ought to repair them. We clicked Repair Disk, and Disk Utility eventually claimed it had repaired some problems. But Julian’s Mac was still misbehaving, so we moved on to step two. Safe Boot limits what checks and functionality your Mac focuses on during startup, and performs certain diagnostics. It’s rare, but sometimes you can get your unhappy Mac to start up successfully with a Safe Boot, and then restart it normally, and everything returns to hunky-doryness. Be patient during your Safe Boot. If the Mac does start up, restart it from the Apple menu once the desktop finishes loading completely. If the Mac starts up normally, go on with your day. Otherwise, keep working through this list. In JV’s case, his Mac wouldn’t restart normally following a successful Safe Boot. So, we moved on to the harder-core options. This step is actually kind of fun—at least when it’s not your Mac that’s under the weather. It’s fun because it feels so geeky. Shut the Mac off, and start it up again while holding Command and S. You’re launching Single User Mode. You can release the keys when the intimidating black screen with messages in white text appears. Wait until the command-line prompt appears, when all the text is done scrolling past. Then, you’ll type fsck -fy and hit Return. And wait. Possibly for several long minutes. Eventually, after five different checks that take varying amounts of time, you should get to one of two messages: “The volume [your Mac’s name] appears to be OK” or “FILE SYSTEM WAS MODIFIED.” If you encounter the first message, type reboot and press Return. If you see the latter message, though, you’ll want to run fsck -fy all over again. You can retype the command and hit Return, or press the Up arrow once and then press Return. Ideally, you’d eventually get to the “…appears to be OK” message, type reboot, and find that your Mac now starts up perfectly. Julian’s Mac had other ideas. We tried that on Julian’s Mac, and after the whole installation process was complete, JV’s Mac did start working again. Briefly. Long before this step, long before even Step 1 in fact, you should know the state of your backups. Julian’s state was that he didn’t have enough backed up. That’s a lousy state to be in. I’ve gone through my own backup plan elsewhere. Recently, we did a series of backup stories, including "Backup basics" and "How to set up Time Machine." This is the moment you'll wish you read those stories. At this stage in JV’s process, I was very concerned about his data. Resetting that data isn’t harmful, and quite frankly it’s also rarely genuinely useful. But man, at this point, it can’t hurt. In some cases, after performing this step, your Mac will restart normally. In other cases, if your luck is as bad as Julian’s was, you might instead see a progress bar on startup. If the progress bar fills up and then the Mac starts up, you’re likely good to go. In JV’s case, however, his Mac actually shut down at around the halfway point in the progress bar. Julian and I went to my local Apple Store with his Mac. We made one rookie mistake, which I’ll get to in a moment. We explained the problem in detail, and went over all the steps we’d already tried. That was good. The Genius behind the bar agreed that it was probably a hard drive issue, and wanted to check to see whether the drive simply needed reformatting, or actually exhibited bad sectors indicating it needed to be replaced. While we were there, Julian realized he hadn’t backed up certain important files that had been on his Mac’s desktop. The Genius we worked with (Adam) could get Julian’s Mac to boot in Recovery mode, as we had, and we were able to copy the other files from it. But our mistake was that we’d left Julian’s external drives back home. So JV had to plunk down extra cash to buy a thumb drive at the Apple Store, onto which we then copied those other files. After consulting with a second Genius, Adam rendered his verdict: Because the drive wasn’t reporting any bad sectors, reformatting it and starting over would likely cure what ailed Julian’s Mac. We returned to my house, fired up OS X Recovery again, and launched Disk Utility once more, choosing to erase Julian’s Mac completely. Then we reinstalled Mountain Lion again. Several hours later, as he restored his data from his backups, Julian’s Mac started behaving badly again. Eventually it crashed hard, and again refused to start up. Sometimes, even the best experts get it wrong. The new diagnosis for Julian’s Mac was that it was, in fact, a logic board failure, and not a fault with his drive at all. Apple took custody of JV’s MacBook Pro, and in a few days (and for nearly $300), the store will swap out the laptop’s logic board. First, we managed to get Julian’s Mac usable enough to back up crucial data. That was probably the most important step we took. Second, all those steps ruled out numerous other issues; it was because of the freshly-wiped hard drive that the new Genius was able to conclude a logic board failure was to blame for JV’s Mac’s problems. But having these steps and awkward key combinations committed to memory, or saved to an iPad, or stuck on your refrigerator—that can make coping with your next Mac disaster considerably less stressful. Presuming your backups are current, anyway.